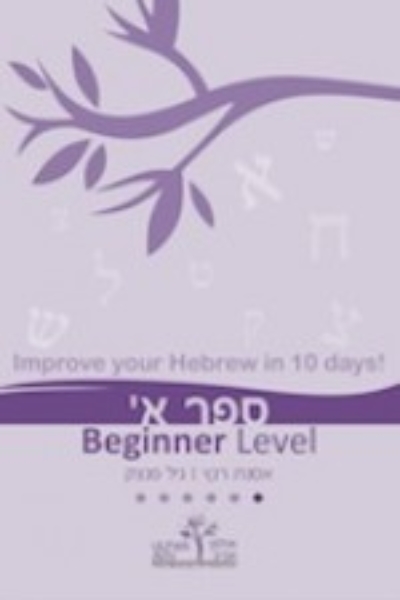 Sefer Alef is generally used in the context of courses for students who are at beginner level. 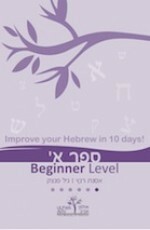 Sefer Aleph provides basic vocabulary and sentence structure common to the Hebrew Language. 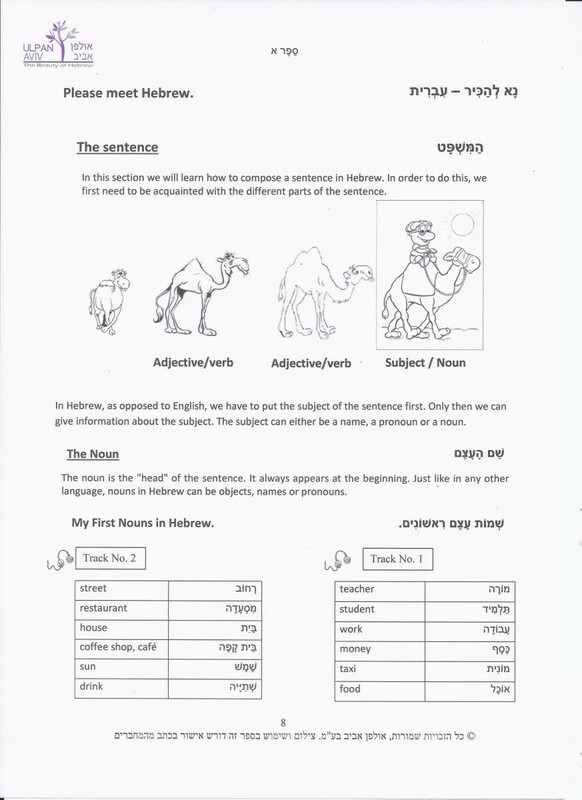 Initial texts are straight forward and work assignments related to these texts are given to the student. 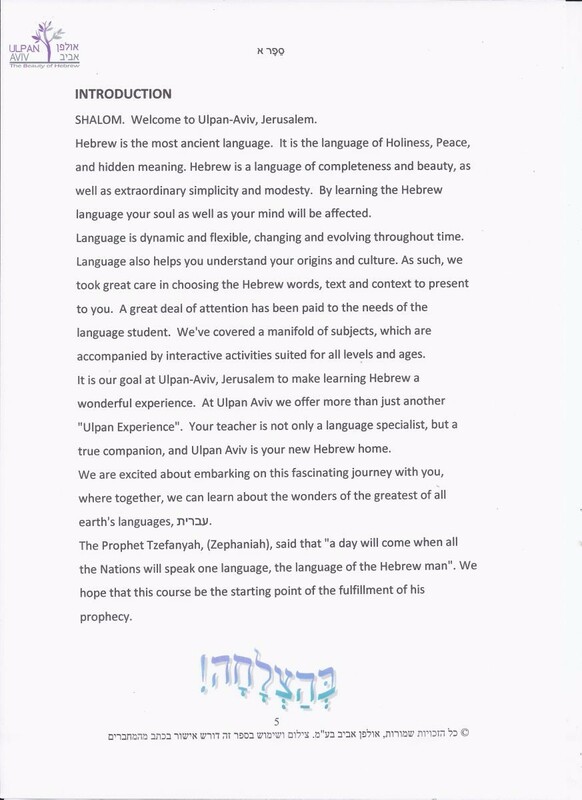 The aim of these texts is to familiarize the student with the language that they will encounter in everyday life and to sensitize them to the language used “on the street” by native Hebrew speakers. 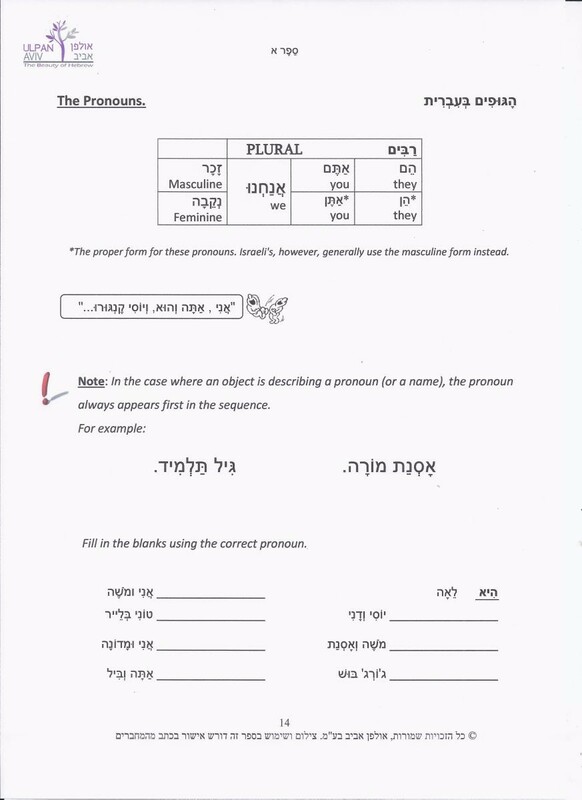 All the grammar rules are presented in a way that is ‘student friendly’ and easy to understand and the different assignments that it contains were specifically designed by our language experts here at Ulpan Aviv, to make learning as much fun as possible. The book contains an extensive introductory section followed by five units: time, environment, food, my body, and news. 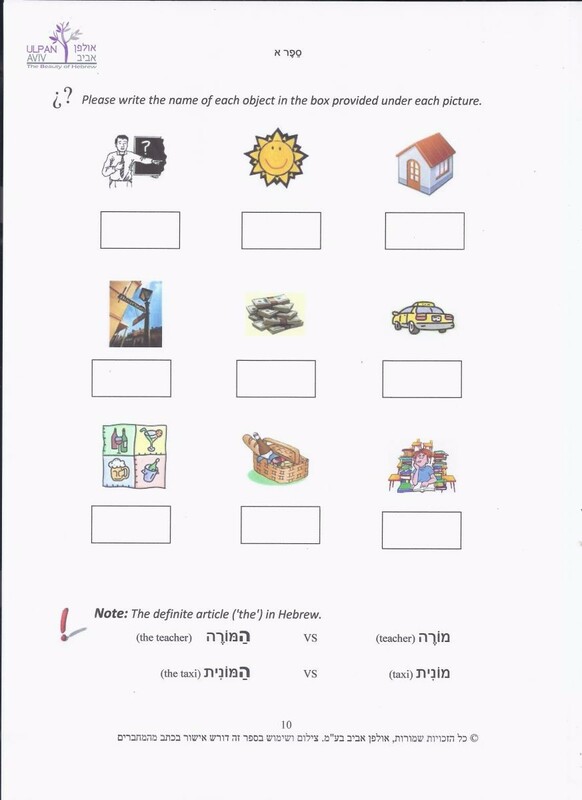 Here students will come across texts and assignments specifically aimed to challenge them. 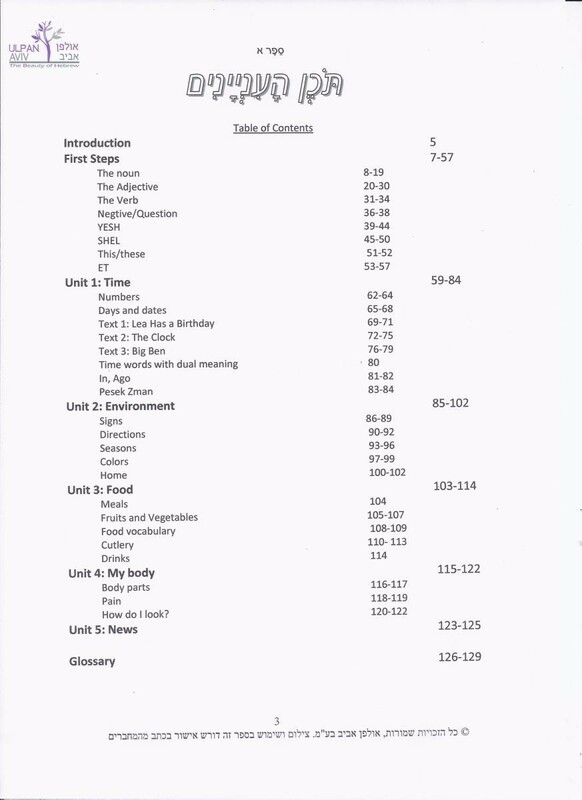 Topics covered in the five units include those of time, numbers, dates, environment, directions, colours, food, shopping etc., all which are relevant to day to day living. 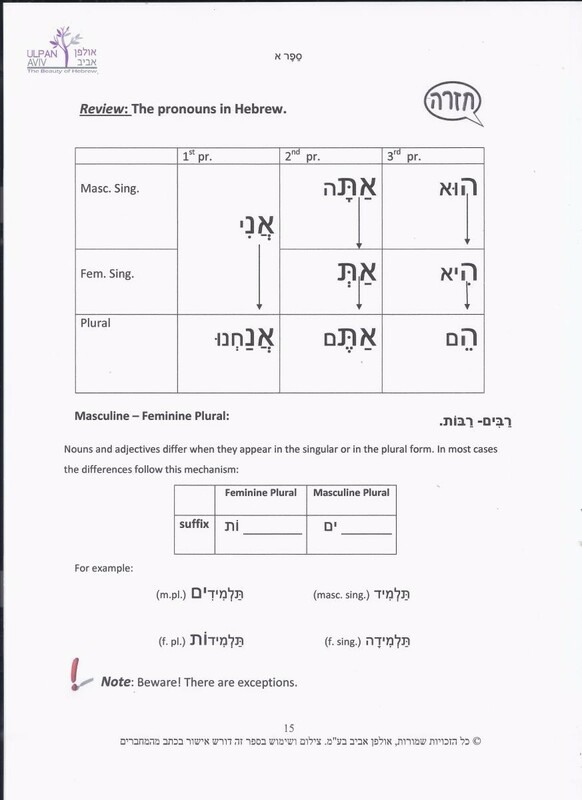 This enables the student to put in to immediate practice what he or she has been learning.